Manchester City's FA Cup semi final victory over Brighton on Saturday means that Pep Guardiola has now reached the final of every cup competition he has ever entered as a manager. The Citizens remain on course for an unprecedented quadruple this term, with the champions two points behind Liverpool in the Premier League with a game in hand and on course for retaining their title, whilst the Carabao Cup was secured in February with a ​victory in the final against Chelsea. ​City also remain in contention for this season's Champions League as they prepare to do battle with Premier League rivals ​Tottenham in the quarter finals, but their most recent triumph in the FA Cup has seen Guardiola break further ground for success in cup competitions. Progression to this season's FA Cup final means that Guardiola has now reached the final of every cup competition he has entered as a manager with three different clubs. The Spaniard reached the finals of the Copa del Rey, Champions League and the Club World Cup during his four-year spell in charge with ​Barcelona, with whom he won all three competitions. The City boss won the Copa del Rey in both the 2008/09 and 2011/12 seasons before departing Catalonia, and also won the Champions League with the Blaugrana in both 2008/09 and 2010/11. Guardiola also led Barca to winning the Club World Cup in both 2009 and 2011. The Spaniard's decorated career continued in Germany, reaching the DFB-Pokal final with ​Bayern Munich which he also won in both 2013/14 and 2015/16, as well as the Club World Cup once again with the Bundesliga outfit in 2013. Guardiola's haul of cup success has since continued during his current spell with Manchester City, claiming back-to-back Carabao Cup triumphs in 2017/18 and again this season. 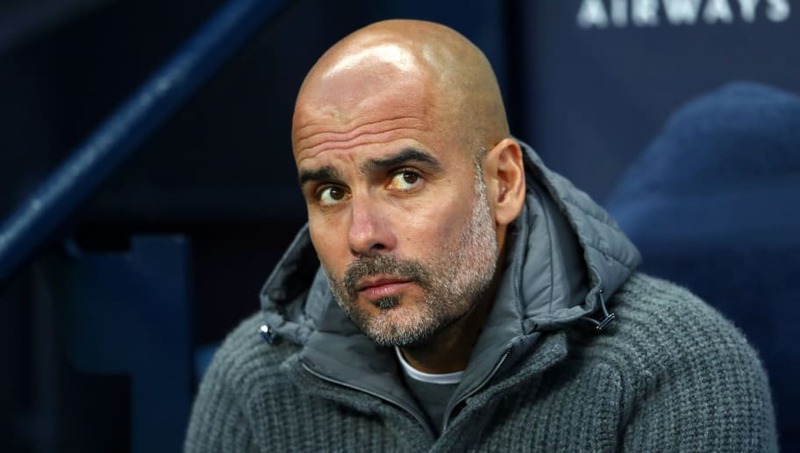 However, the FA Cup had proved elusive for the Spaniard since arriving in England in 2016, but he has now reached the final of the world's oldest cup competition, and City will fancy their chances of adding yet another domestic cup to their ever-expanding cabinet in May.